For a bit over a year, I have endeavored to open an integrative wellness center for people with Ehlers-Danlos Syndromes, the JaxLegacy Center. I wanted to let you know that while the “center” is still taking shape, I am offering EDS Evals with and without CranioSacral Therapy treatment. This is a first step in growing the JaxLegacy Center. You can view details and book at the link below! Please Share! We hope everyone is staying warm on this very cold but very important holiday! At CT Center for CranioSacral Therapy, we believe in paying it forward and honoring the individuality of our clients every day and I would like to invite you to pay kindness and acceptance forward to loved ones and strangers- not for one day, but for ever day. Do a small kindness each day for someone (even for yourself) - it just might make their day great! First things First: Thank You! My clients are my greatest teachers and I am always humbled by being invited into your personal journey of healing. Each person’s history and story of mind, body, spirit is sacred, personal, and individual. Before every session, I ask my hands and heart to be led true, like a compass heading, by your Inner Wisdom. I wish that you have a wonderful holiday season and that 2019 brings peace, harmony, happiness and rainbow sprinkles to your life! It started with a big push to get a new collaborative treatment center, the JaxLegacy Center, off the ground which would specialize in Ehlers-Danlos Syndromes. We definitely had some bumps along this road including administration shifts and lack of a supportive medical team; two HUGE problems we could not overcome. We were within kissing distance of opening, but alas, it did not come to fruition and all involved were devastated. I am a strong believer that there was a good reason for JLC to not manifest-that there was a smoother, simpler process ahead of us. My hope and vision for a collaborative team of professionals, working under one roof, and dedicated to the supportive care of people with EDS is still very much alive. In 2019 I will continue to pursue avenues to bring professionals together to help the EDS community. And, in case you were wondering, EDS is a sub-specialty, but not my only focus! I love working with EVERYONE! Diplomate Certification: In February, I earned my Diplomate Certification through the Upledger Institute. The Institute awards two types of certifications: The Techniques certification and the DIplomate certification. To be eligible for the Diplomate, one must be Techniques Certified and completed the CranioSacral Therapy core curriculum of five courses with the Upledger Institute. Rigorous studying, preparation, presentation, written exam, internship, practical exam and publication follows. I would not have been able to accomplish this goal had it not been for my clients, mentors, instructors, the great team at the Upledger Institute and colleagues. Your guidance and encouragement meant the world to me. Thank You! Class 1: CST and Working with Chronic Depletion - This class focused on how to identify clients with chronic depletion. Even though it seems logical that most clients who seek CST will be “chronically depleted”, I was introduced to some neat tricks in assessment and treatment to really target and help facilitate healing for those with chronic depletion. Chronic Depletion is often found among those who have lived with long-term stress from varying or multiple sources. The client has often tried many modalities, but nothing has helped. The techniques get to the heart of dysfunction in a very gentle and efficient manner. Class 2: CST Presentation Tools - I was thankful to be able to get into this class. The presenters class has helped prepare me for my presentation on Ehlers-Danlos Syndromes for the Upledger Institute conference, Beyond the Dura, being held in Palm Beach, FL in April, 2019. Additionally, through this class, I became a certified presenter for a few types of CST classes; Intro to CST, Overview of CST and ShareCare Classes. Hopefully, I will be able to host a couple of these this year. TA-ing - Some of you might know that I am a certified teaching assistant for the Upledger Institute CranioSacral Therapy curriculum. I am certified to TA all five levels. This past year I had the honor of TA-ing for CST II, in Cromwell, CT in March. Writing this, I realize that I need to TA a little more this year :)! TA-ing helps me keep up-to-date on curriculum changes and reinforce my knowledge and education. There’s usually a few nuggets of wisdom that take away and integrate into my life and practice after each opportunity to assist. Comprehensive Therapy Programs - For the past three years, I have been a therapist for Upledger’s CTP program. This program brings together therapists and clients for 5 consecutive days. Each client has a team of two-four therapists every day. Each day the client gets a new team and therapist teams are rotated. There are two, 2.5 hour sessions each day with the option of aquatic CranioSacral Therapy and Equine Assisted CranioSacral Therapy (both really cool). I will be attending the CTP in Indiana, for the third time, in June 2019. It is a great learning experience and incredible honor to witness clients grow, transform and heal during the week. If you would like to learn more about these programs, please visit and contact Integrative Intentions, an affiliate of the Upledger Institute and steward of Dr. Upledger’s comprehensive programs. In addition to general CTP’s, you can opt for programs for concussion, PTSD, Veterans of War and everyone’s favorite, Dolphin Assisted CranioSacral Therapy held in the Bahamas. Tell Kat and Maia I sent you! Beyond the Dura: I am over the moon about being selected as a presenter for this year’s Upledger Institute conference in April. This conference only meets once every four years and brings together instructors, therapists, and guest speakers from all over the world. My presentation is on CranioSacral Therapy Techniques for those with Ehlers-Danlos Syndromes, a connective tissue disorder that effects many, but is not well known. CranioSacral Therapy is an excellent choice for gentle manual therapy for people with EDS. Since we, as manual therapists work directly with connective tissue, it is imperative that we understand how “issues with tissues” can manifest and how best to address it. This is a golden opportunity to raise awareness and introduce practical applications for CranioSacral Therapists to work safely, efficiently, and mindfully with people with EDS. EDS Evals: To meet the needs of the EDS community, I introduced two new types of appointments- An EDS Eval with CST treatment and an EDS Eval without CST treatment. One of the biggest problems the EDS community faces in CT is lack of EDS awareness and EDS knowledgeable professionals who can confidently assess musculoskeletal and neurological issues in EDS. In an effort to partially fill this void, I created these appointments to offer a stop-gap measure for people who suspect they have EDS and/or are seeking information, confirmation….”am I on the the right track”…and manual therapy to treat their EDS. There is very little wait time for booking these appointment and the evals are designed to shed light on a person’s symptoms and facilitate the person’s education on EDS, provide resources and suggestions and provide gentle treatment to ease symptoms. Due to the constraints of my licensure, I cannot offer a diagnosis, but can certainly offer assessments to help clarify suspicions. Comprehensives: In the spirit of the comprehensive therapy programs offered through Upledger, I have introduced modified versions of the same programs. A comprehensive appointment is generally longer, condensed into a series of appointments daily over five days or offered as a multi-therapist appointment. For more information, please visit the scheduling page. Memberships: New for 2019, you have the option of membership with CT Center for CranioSacral Therapy. Five options are available ranging from monthly appointments to unlimited appointments. I may tweak, remove or add membership options over the next couple of months. For some, membership may be a great way to stay connected, maintain wellness, save a few bucks and keep a healthy routine. Additional Location: I am thrilled to offer appointments in Sandy Hook at the CT Counselors & Wellness offices. CT Counselors is a collaborative group of professionals who work independently but cohesively with each other for the benefit of the clients. Many services are available besides counseling; naturopathy, chiropractic, massage therapy, EFT, hypnosis, and even a nurse practitioner! This group provides a supportive structure for all practitioners and clients and I can’t wait to start! Appointments will be available on Thursdays between 12-5 and online booking is available on the Schedule an Appointment page. Just choose the location for Sandy Hook and you will be redirected to the calendar for booking. If you have any problems, please contact me. I am still in New Milford on Tuesdays, Wednesdays and Fridays!! On the scheduling page, choose New Milford for the booking calendar. Classes: I hope to be able to offer several Overview to CranioSacral Therapy, ShareCare and Intro to CranioSacral Therapy classes this year along These classes are intended to introduce the concepts, theories and some simple techniques to the general public and curious health care professionals. This is your opportunity to learn what it is I’m doing in your session and how you can help your loved ones when they need a little TLC. 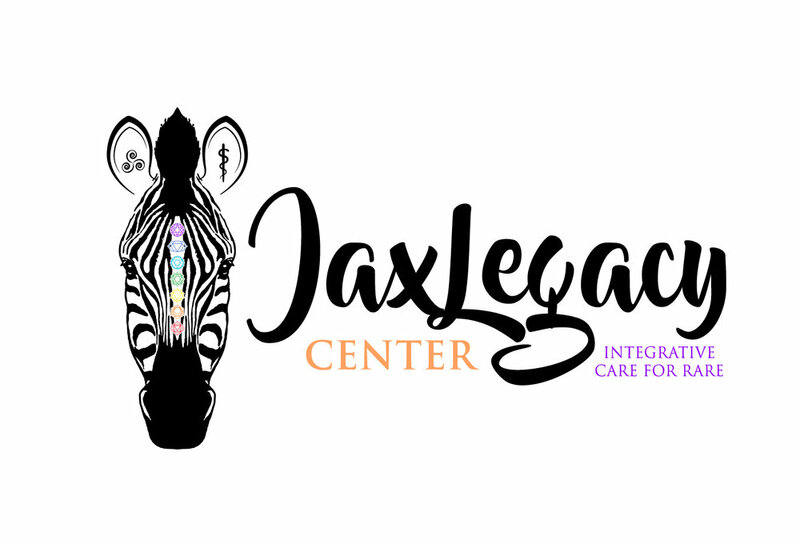 JaxLegacy Center: I will forever hold in my heart the reality of a collaborative, cohesive center of professionals, dedicated to helping those with EDS. I think about it every day and look for opportunities every where I turn. Blog posts: I intend to keep up with occasional blog posts to keep everyone informed of the exciting, groovy things happening at CT Center for CranioSacral Therapy. Following the facebook page is probably the easiest way to stay connected or you can subscribe to get emails!